*The exact baking time depends on your oven! You may need to do a few tries with your oven in order to find the exact time you need to count in order the cake center is molten. For example, for me it works well to bake the cakes at 230°C for about 9 minutes), but I always observe it and once the center sinks a bit and darkens, I take them out. In any case, do not bake longer than 12 minutes, unless you don´t care about the molten center. 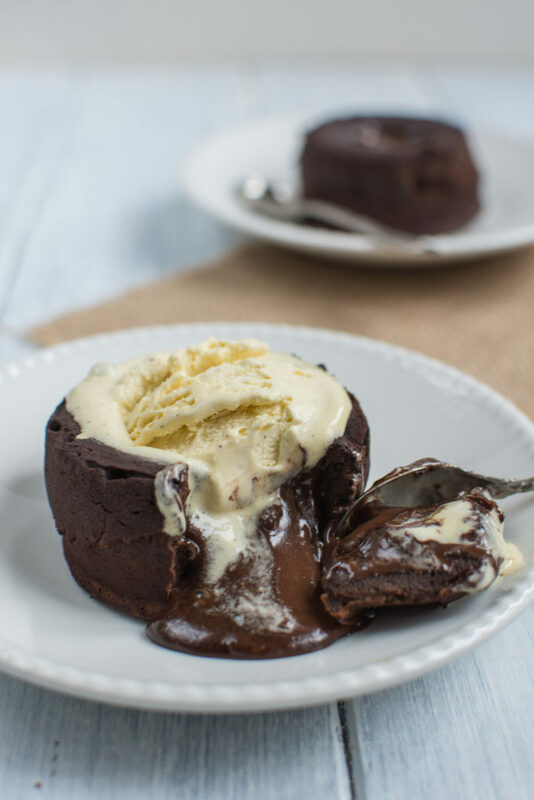 If you follow the above rules, the Chocolate Molten Lava Cakes are trivial to make, believe me! 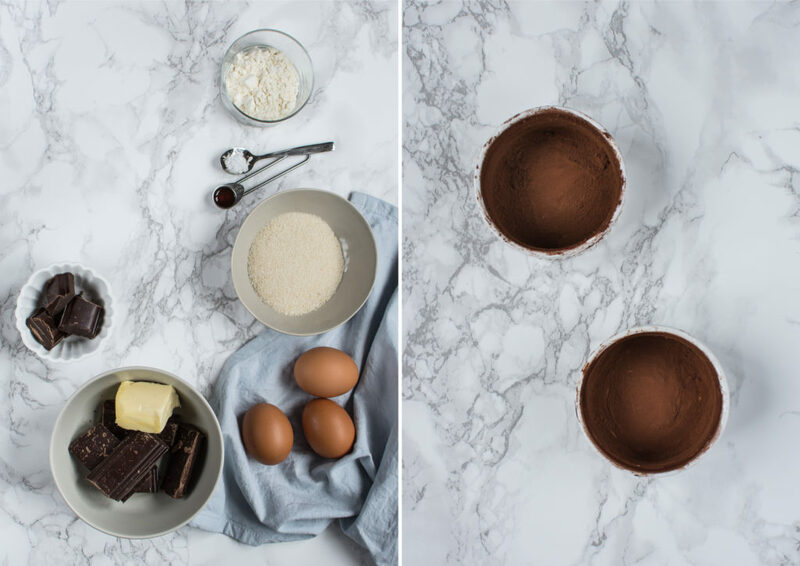 The preparation time will only take you 10 minutes, and so as the bake time! As you need to serve it warm, remember to preheat the oven during your main course. You can prepare the cakes 2-3 hours in advance, fill in the forms and store in a fridge. 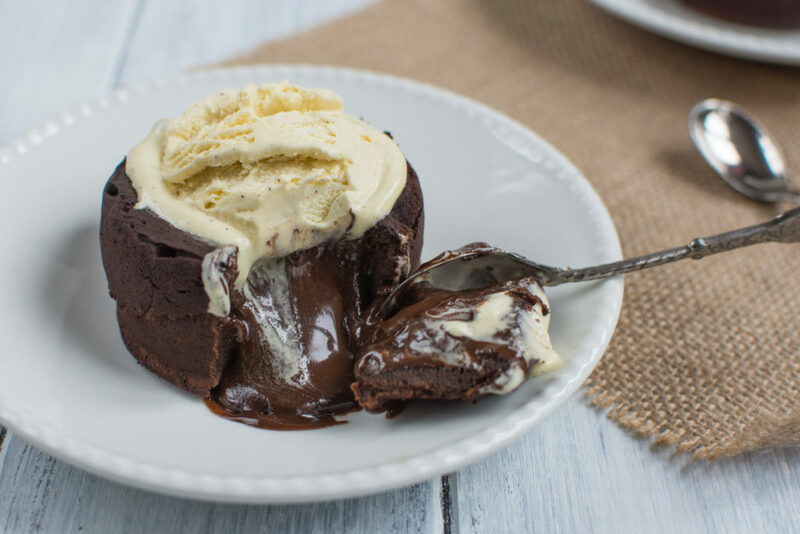 Chocolate Molten Lava Cake is a divine, almost no flour chocolate cake with a melted center. After you sink the spoon in, hot chocolate will start running! Melt the chocolate together with butter in a bain-marie. 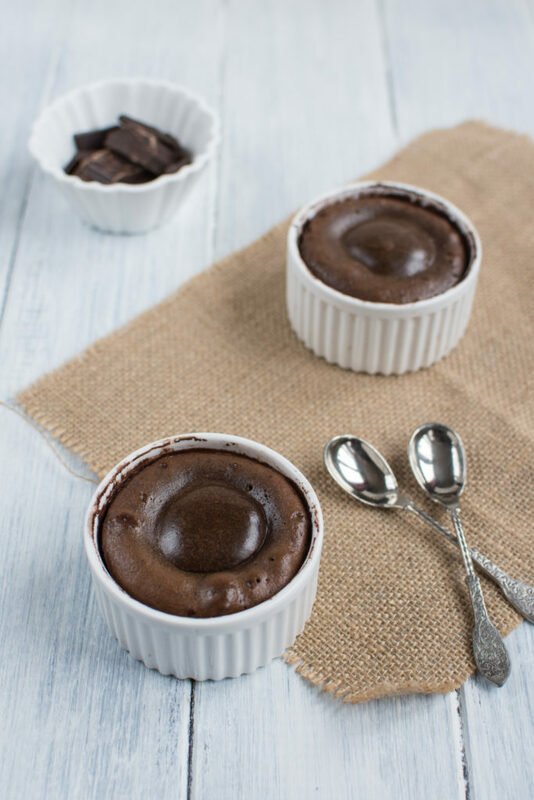 Grease 4 ramekins or muffin mold and dust with cocoa powder. Keep them in the fridge for the rest of the preparation time. Beat the eggs with sugar, add vanilla essence. Stir in the melted chocolate with butter, add fleur de sel and sift in the flour. 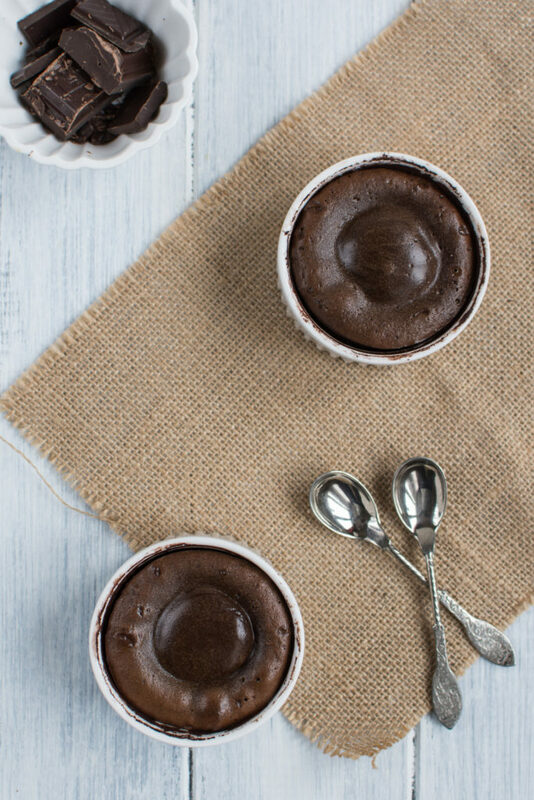 Fill the ramekins or muffin mold evenly up to 1/3 height with the batter, place in the chocolate squares and cover with the rest of the batter up to 2/3 of the height of the molds. Bake in the preheated oven for 7-10 minutes, checking it regularly. Once the center sinks and darkens a bit, you can take them out. Allow to cool down for 5 minutes, turn them upside down on the plates until the cakes are out. Serve with vanilla ice cream or forest fruit. Let me know how the Chocolate Molten Lava Cake turned out. I will be happy to hear from you! 🙂 If you like the recipe, please share it on social media!